Machine learning models trained on data from multiple demographic groups can inherit representation disparity that may exist in the data: the group contributing less to the training process may suffer higher loss in model accuracy; this in turn can degrade population retention in these groups over time in terms of their contribution to the training process of future models, which then exacerbates representation disparity in the long run. In this study, we seek to understand the interplay between the model accuracy and the underlying group representation and how they evolve in a sequential decision setting over an infinite horizon, and how the use of fair machine learning plays a role in this process. Using a simple user dynamics (arrival and departure) model, we characterize the long-term property of using machine learning models under a set of fairness criteria imposed on each stage of the decision process, including the commonly used statistical parity and equal opportunity fairness. We show that under this particular arrival/departure model, both these criteria cause the representation disparity to worsen over time, resulting in groups diminishing entirely from the sample pool, while the criterion of equalize loss fares much better. Our results serve to highlight the fact that fairness cannot be defined outside the larger feedback loop where past actions taken by users (who are either subject to the decisions made by the algorithm or whose data are used to train the algorithm or both) will determine future observations and decisions. I came to Ann Arbor, Michigan in August 2000, and have been with this department ever since. Prior to that I was a graduate student in the ECE Department and the Institute for Systems Research (ISR) at the University of Maryland, College Park. My research interests are in optimal resource allocation, sequential decision theory, incentive design, and performance modeling and analysis, all within the context of communication networks. My most recent research activities involve online learning, modeling and mining of large scale Internet measurement data and the design of incentive mechanisms for cyber security. 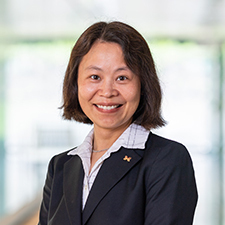 I was a recipient of the 2002 NSF CAREER Award, the University of Michigan Elizabeth C. Crosby Research Award in 2003 and 2014, the 2010 EECS Department Outstanding Achievement Award, the 2015 College of Engineering Excellence in Education Award, and the 2017 College of Engineering Excellence in Service Award. I received a number of Best Paper Awards, including one at the IEEE/ACM International Conference on Information Processing in Sensor Networks (IPSN) in 2012 and one at the IEEE/ACM International Conference on Data Science and Advanced Analytics (DSAA) in 2014. I served on the editorial boards of IEEE/ACM Trans. Networking, IEEE Trans. Mobile Computing, and ACM Trans. Sensor Networks. I am a Fellow of the IEEE and a member of the ACM.